Here at LA Healthcare Design, we are intentional in improving patients’ experience in your Medical Spa through interior design. Today we will demonstrate how the use of various material elements can create new experiences in your practice from a designer perspective. Material elements play a crucial role in the experience of your patients. Notice the entrance to the Fitness & Spa center in the photo above. The combination of wood, a natural element, and the contrast of the dark walls, white flooring/ ceiling, and glass creates a Timeless Design; a timeless space for patients to experience. Not only is the reception space architecturally impressive, but this area also evokes a homey and cozy feeling. 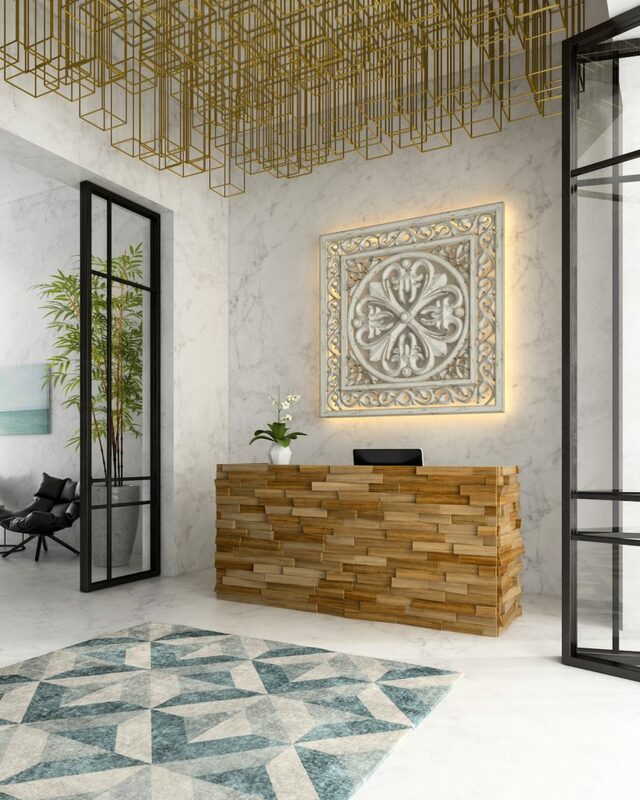 Through the strategic use of high ceilings, lighting, and variety of materials like metal, wood, and marble, this is a reception that provides a welcoming experience for patients. Beautiful interior design provides a balance of all 5 senses: taste, sight, touch, smell, and sound. 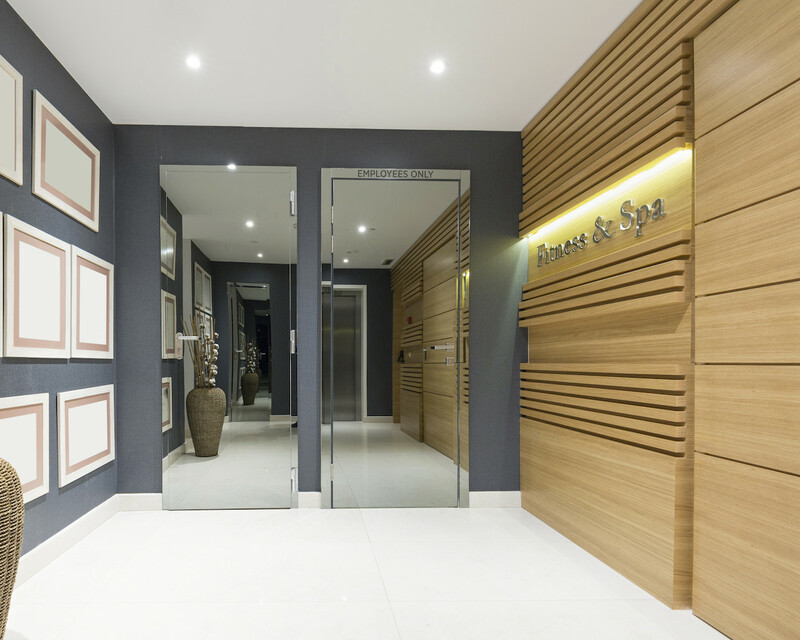 For example when we are designing the waiting room for a Medical Spa, we consider all aspects pertaining to the senses: from the lighting and natural light of the room to the material of the seats and color of the walls.